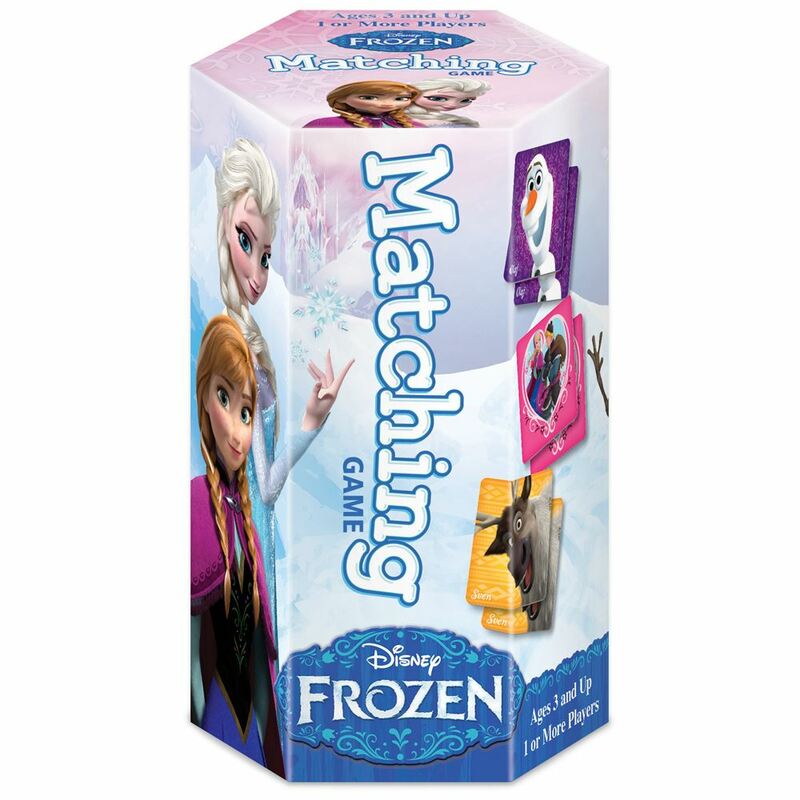 Packaged in a brightly hex shaped mini tube, the Frozen matching game is fun for learning pairs and Disney characters. Flip over brightly colored tiles and find colorful pictures of characters from the much loved movie Frozen. What familiar faces will you see? Pick up the most matching pairs to win! For 1 or more players. Age 3+ years. Distributed in New Zealand by Holdson.